Our guest rooms are functional, yet comfortable. Our well-stocked breakfast buffet is free. On request, we will prepare a tasty lunch and/or dinner for groups! Please contact us in advance to arrange the details. 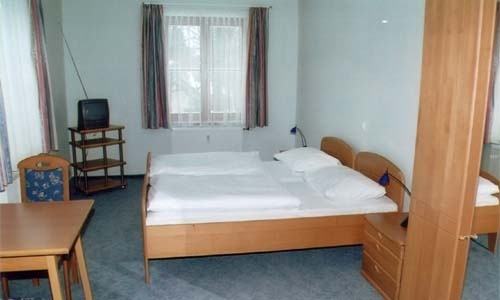 The rooms of the Junges Hotel Salzburg-Haunspergstraße are well-equipped, light and friendly. We offer our guests 45 beds in 14 rooms. Our rooms have been designed with an eye on comfort. All 14 rooms are equipped with shower and toilet and some of them have satellite TV. Apart from one single room and several double rooms, there are family-friendly four-bed and six-bed rooms. 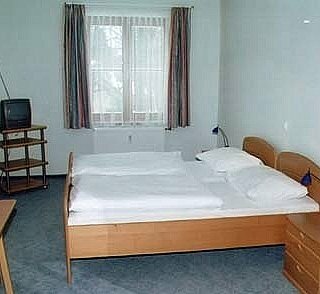 The four-bed and six-bed rooms are often booked as cheap family rooms. Depending on availability, it is possible to book rooms with more than one bed as a single room. All rooms are functional, yet comfortable. The use of wood creates a friendly atmosphere. Each bed is equipped with a reading light. The rooms are cleaned every day. We provide you with fresh bed linen. We ask you to put them on the beds yourselves. You can choose between breakfast, half board or full board. Start your day with fresh rolls and other specialities from our breakfast buffet. Our well-stocked breakfast buffet is free. On request it is possible to get a packed lunch.